How do I get to the Lincoln Park Studio? The closest intersection is Halsted St. & Eastman St. Above 2.5 hours, regular garage rates apply. You may be free street parking on Eastman or Dayton. 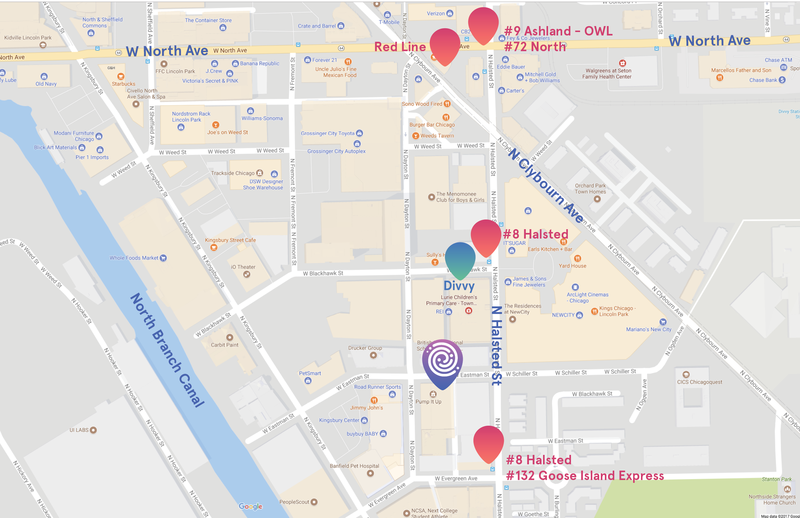 There is also metered parking on Halsted at downtown rates. There is a 10-minute standing zone directly in front of the studio. Please have your hazard lights flashing if you are away from your vehicle. We encourage Codeverse families to carpool if possible! Personal bikes can be parked and locked on the sidewalk in front of our studio.